SMA is a colonial town of artists, steep cobbled streets, festivals, and the (claimed) birthplace of enchiladas. We were excited to see why so many expats have relocated here. Indeed, it's a pretty enchanting place. There are moments when you are thrown out of your zone and into an incredible street parade (with no way around except to wait it out and enjoy the scene). There are moments when you find the perfect latte and croissant and realize they're almost as good here as in Europe. Every doorway in SMA opens to a courtyard, to an art gallery, to a workshop, to a hidden restaurant. We've found some great spots by walking around and talking with people who live here. Here's the list of our top experiences you must try. ​Fabrica la Aurora is an old textile factory that was the largest local employer until the early 1990s. Now the building hosts a number of art galleries and design studios. It's open to the public and is an incredibly cool place to explore. Prices are generally fairly reasonable by gringo standards, plus there is a great cafe, Food Factory, on the site. Just make sure you set aside at least a couple hours, as this complex is huge and the art is of phenomenal quality. ​Gringo Bingo is held every Monday at the Milagro Bar. Interestingly, it's been a really great way for us to meet new people. Plus all proceeds go to several local charities and there are some really great prizes on offer, including free meals at restaurants around town. Be sure to arrive early so that you can get a beverage at the bar and chat with the folks who are hanging out there. We honestly didn't think we'd have this much fun playing bingo, but we never miss a week! Every weekend, we take a trip out of town to explore. We've seen our local Mayan ruins, been to mining ghost towns, and hit up several little colonial cities in the area. 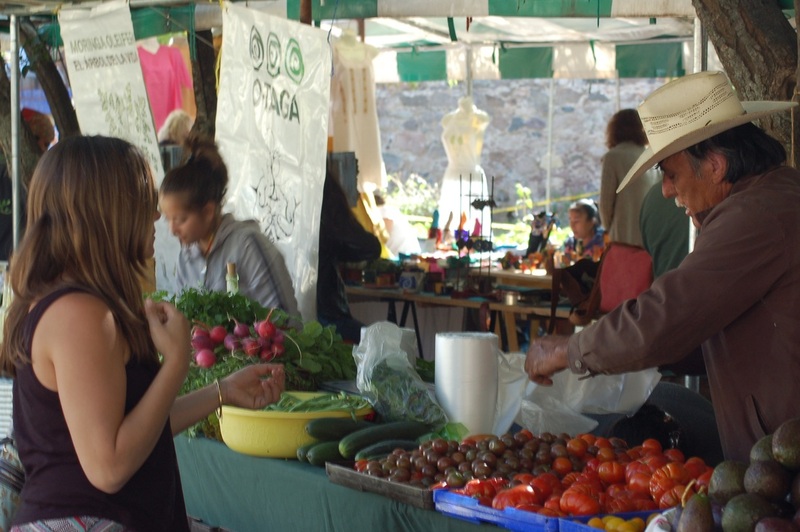 But our favorite day-trip has to be Guanajuato. With an amazing historic downtown, great restaurants, Festival Cervantino (think of a Mexican version of SXSW), endless trails for hiking and mountain biking, EXPATS OUR OWN AGE(! ), and unusual attractions like their Mummy Museum and mine tours, there's always something we can find to do for a day in this vibrant city an hour away. Obviously, being in a place for an important celebration is always great, but San Miguel de Allende literally has more days of celebration than any other town in Mexico (or so our taxi driver told us). 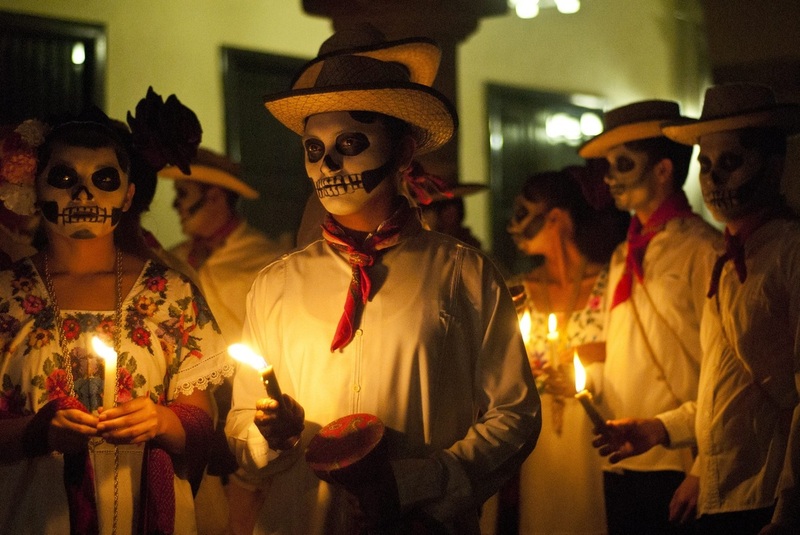 So whether celebrating Independence Day, Dia de Muertos, the insane debauchery of the Archangel San Miguel's birthday, or any of the scores of minor holidays, do your best to catch the regular parades, festivities, and fireworks. It's just too bad they stopped their running of the bulls a few years ago. ​The botanical gardens are at the northeast end of town and it's a pleasant 30-minute walk from Centro with great views of the city (or you can take a cab). The gardens are something of a rarity in Mexico with the largest collection of cacti in the Americas and a mission to propagate plants that are in risk of extinction. Immediately outside the gardens is a larger open space preserve with hiking and mountain bike trails, some small ruins, great views, and some extraordinary wetlands. The organic farmers' market might not be everybody's cup of tea. And it's only one day a week. 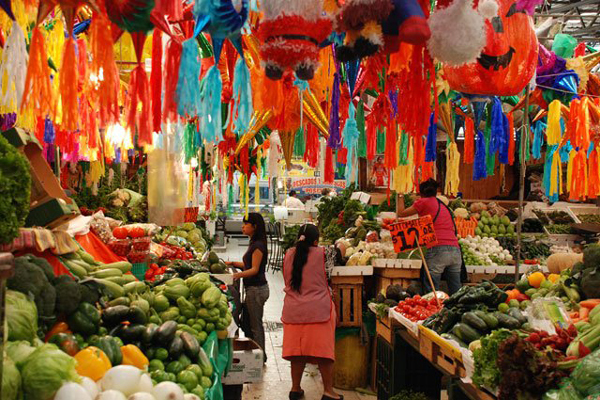 For daily goods, there are several large local markets, including Mercado Ignacio Ramirez, where the locals shop. You won't see any organic small-batch Balsamic vinegar, but you will find endless produce vendors, food stalls, home goods, and handicrafts. It's great if you need to pick up a few things (it's our go-to supermarket) or if you just want to wander and absorb some local flair. Who owns the night? On Fridays, from 7pm (sharp!) to 11pm, Annie does. The Beer Company is a small bar on Zacateros where Annie hosts karaoke. 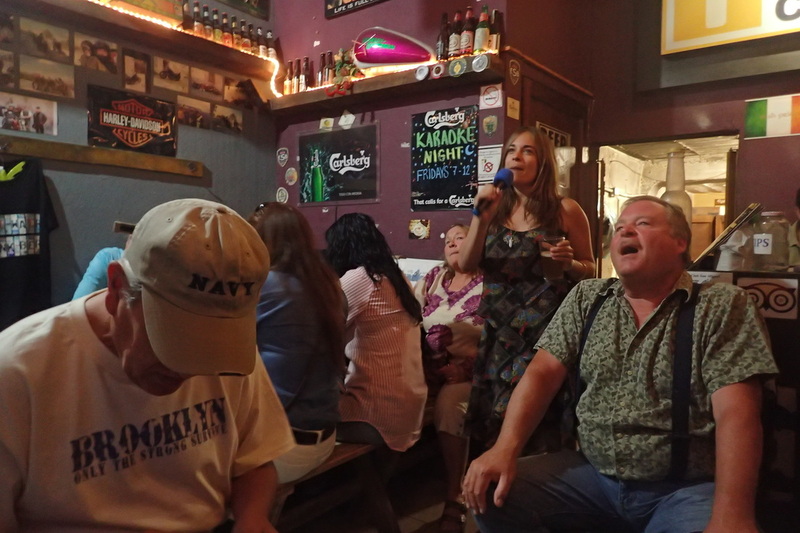 This is a karaoke experience like none other (and we've had many). Everyone sings together. It doesn't matter if you've never heard the song before - the words are all projected up above the whole bar. And even though the the power goes out once in awhile, the show goes on. One of our favorite finds in SMA is this tiny movie house. It shows mostly international, classic, and small independent flicks, but they take requests if there's something you really want to see. All non-English movies have subtitles. The best part: 100 pesos gets you a movie ticket, popcorn, and a cocktail. And as the name implies, the screening rooms are tiny, with each seating about 20 people. It's a ton of fun if bad weather has ruined your rooftop patio plans or you're just looking to break up the tourist thing with a movie for an evening.